We pride ourselves in the timely delivery of quality pallets through fine-tuned manufacturing and transportation. Attentive enough to give every client the quality service they deserve. Big enough to support your needs on a national scale. We have approximately 500 Trailers on the road - centrally coordinated and in constant communication. 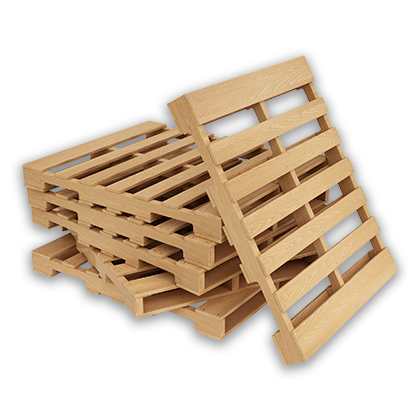 Over 600K recycled pallets delivered on-time, on-schedule each month. We guarantee on time delivery. Our operational efficiencies allow us to be competitive while delivering exceptional customer service. We are constantly improving how we engineer the custom solutions for our clients. Good is never good enough. We offer delivery within 24 hours. Our teams assume collective accountability for their actions. We excel at meeting challenging commitments as we achieve total customer satisfaction. From time to time we publish articles, share success stories from our clients or around the industry for our subscribers to learn from and improve their businesses.